For the last two weeks the best, brightest and keenest creative minds, from seven incredible advertising agencies, have been slogging their guts out to create short films as part of YouTube’s Film Hack challenge, all in aid of The Migraine Trust. 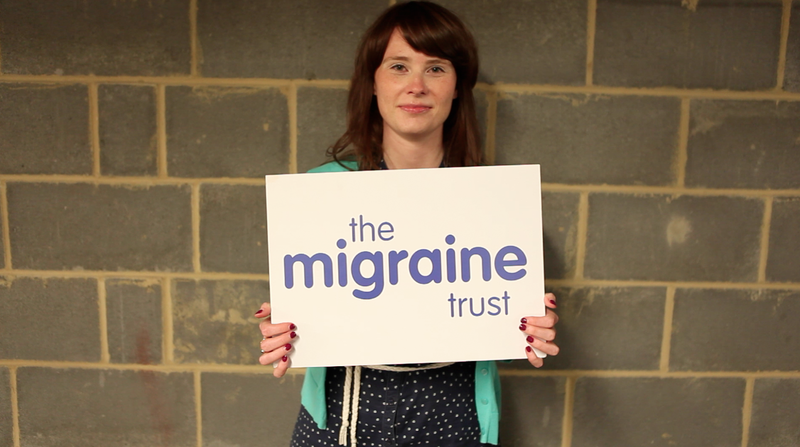 The stunning results can be found HERE on The Migraine Trust’s YouTube channel. I’m pretty sure this is the biggest (if not most exciting) event to take place in the migraine movement. Nay, this may have even created the UK’s migraine movement! Seven short films are currently on YouTube. Seven. About migraine. On YouTube. This is a movement I tell you. As a media volunteer for The Migraine Trust, I was asked to speak at the Kick Off event, at YouTube’s headquarters, for this mighty challenge. As I stared out into the sea of blank faces I knew I had to do two things: 1, get these (rather trendy and seemingly intimidating) people to understand that migraine is a real neurological condition that can be incredibly disabling and 2, prove that the stereotype of a migraine sufferer as a spindly middle aged, hypochondriac spinster - is false. I was meant to speak for 10 minutes; I spoke for over 20. I cried, I sweated, I mentioned Eurovision (ask me why if you really want to!). I’ve got no idea if I achieved my aim but I damn well tried. As I sat down, I looked around the room and was suddenly aware that something monumental was about to happen. 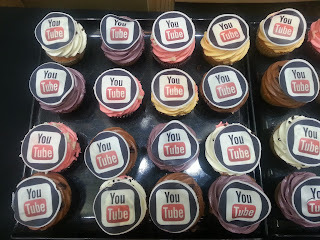 Several other incredible presentations were made from YouTube, from Mofilm, from The Moving Picture Company(MPC) and of course The Migraine Trust. I saw the fierce concentration, and then animation, in all the teams from the ad agencies. They were set. The challenge was on, and every migraineur out there will know what a challenge it is. The advertising agencies, including Dare, Rainey Kelly and Saatchi & Saatchi where then partnered with YouTube content creators such as the infamous Bing, Crabstickz, and Ninebrassmonkeys (they have real names too!) to advise on the ins and outs of YouTube mastery. Each team was also given a mentor in the guise of a consultant from MPC, to mentor in moving picture, film, stuff. 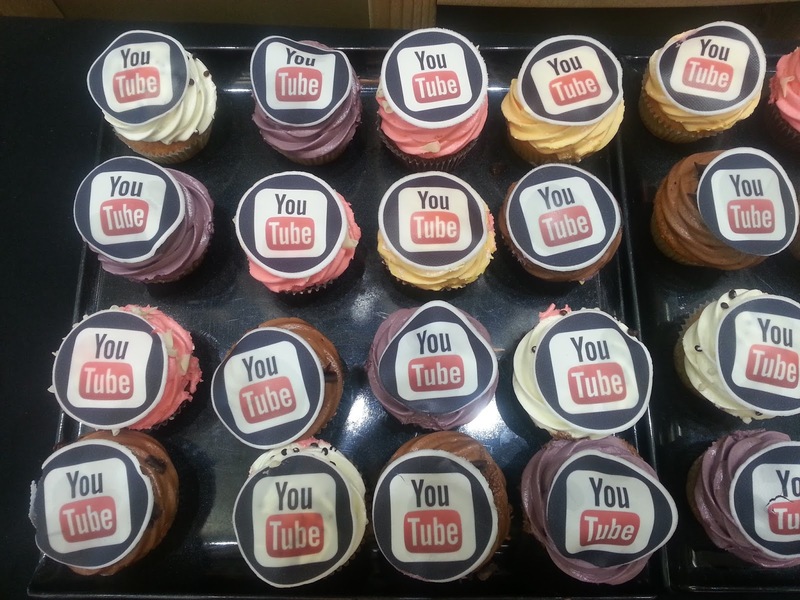 Over the next two weeks YouTube gave the agencies, (rounded off by M&C Saatchi, Karmarma, Leo Burnett and JWT) every resource possible (including cupcakes) to make said films. Most were actually shot and edited on roughly the same day, which is what a ‘film hack’ is all about. But the amount of planning and hard work that went into the films constantly rendered me speechless, and if you know me, that’s saying a lot. I was overwhelmed by the genuine dedication and commitment from every single team. I watched as they slowly became absorbed and dedicated to the cause; they weren’t just in it to win it. One team auditioned 24 actresses for their film, and told me that almost every actress had a personal migraine story. Another creative told me that after the Kick Off event he immediately rang his sister and apologized for not taking her migraines seriously for all those years. Another even got his wife, a migraine sufferer, to feature in the film…. and I can give you a similar example from every team that took part. It became personal. And this is what happens when you start talking about migraine. Below you’ll find the seven films. The range in approach is fascinating. Some (in my opinion) appeal more to non-sufferers, trying to show that we migraineurs are young, fun people who are not total wimps. These films have a sense of humour and show that we do too! Remember that these films (designed to raise awareness of migraine and The Migraine Trust) are for a YouTube audience, and also have a social media and twitter campaign that go with each one. I was, therefore, so excited to see that only 24 hours after they went up young people (ranging from a ten, thirteen and twenty-year old) had commented on some of the videos, talking about their own experiences. This age range typically doesn’t realize that The Migraine Trust is there to help them. Now they know it’s OK (even cool) to talk about migraine and that they’re not alone. It was cold. It was wet. We did 2 takes. But I'd do it again. One brave soul had his beard waxed! i.e a Horse Urine egg! Other films demonstrate, in more visceral and gut wrenching ways, the severity of the condition. If you look at the comments under these films you’ll see that sufferers are sharing their stories and saying how much they can relate. You can share these films too and say ‘look, this is what it feels like for me’. I find these films both beautiful, scary and (as with the above collection,) am so grateful that they exist. I now have something to show my friends. Every film is based on the experiences (and descriptions) of real life migraine sufferers, mostly drawn from The Migraine Trust’s media volunteers and supporters. The crew setting up for the shoot. So here they are, in no particular order. Which one do you most relate to? Which one will you be sharing on your Facebook, Twitter and YouTube account? And you must share them – because that’s what this is all about. We now have seven very different ways (because migraine is so very individual) of showing people what it’s like for us. It may be you want to share one of the more lighthearted films (which at their core have a serious message) to show you have a sense of humour, to help challenge the stereotype. Or you may want to share one of the films that you feel best describes how your migraine feels. Or you may want to share them simply to raise awareness of The Migraine Trust. But get clicking and share. (The Vice almost exactly, word for word, describes what a migraine attack feels like for me! I almost can't bear to watch it. It's quite scary isn't it? (The amazing dancer in this video is a migraine sufferer, and actually had an attack the day before. of their symptoms - from a single Facebook discussion on The Migraine Trust's page. (This is a montage of famous YouTube virals and memes, with a twist! Clever stuff. Life really does stop when a migraine starts. what a migraine feels like to them - including my buddy Dr Fiona Russell! quite loudly! And that we'd rather do ANYTHING than have a migraine. Finally, a massive, massive thank you to all at YouTube (especially Charlotte Morton and her team) and the seven incredible advertising agencies (M&C Saatchi, Karmarama, JWT, Leo Burnett, Dare, Rainey Kelly, Saatchi & Saatchi) that put so much time and effort – for free – into this project. I hope you all know how much this means to migraine sufferers and The Migraine Trust. I’d love to hear your thoughts on the different films. Which one is your favourite? YOUTUBE IN PAIN (Leo Burnett) is definitely the one that I can associate most closely with. It even brought a tear of acknowledgement to my eye at the end as it shows that migraines give physiological pain as well as physical. Oh and I think that you got off lightly compared to the others in your video ;-) but a huge well done and I will certainly be sharing these videos and post with lots of other people. 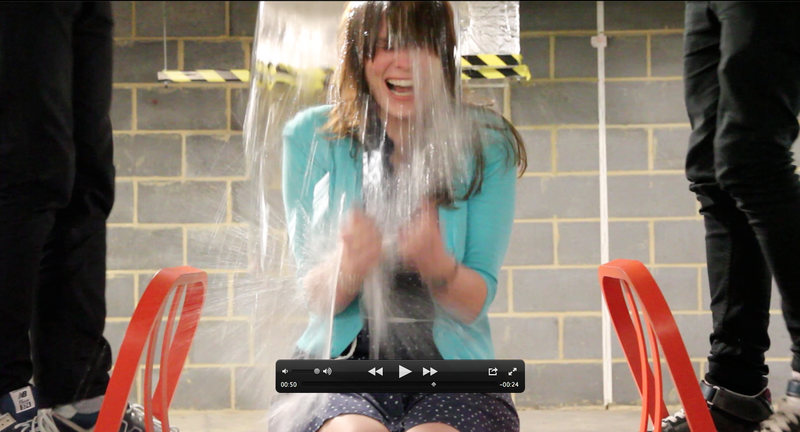 Hi - oh I agree, I was lucky - but it was very cold...and filmed in a car park...ha! My dad also had a tear in his eye when he watched the YOUTUBE IN PAIN ONE. Does show how it disrupts life indeed. So inspiring. I can't choose a favourite video, I can relate to them all! 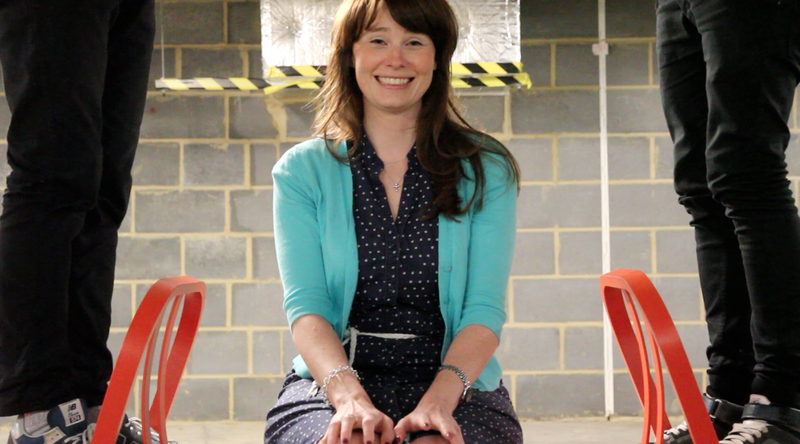 Really pleased to hear these videos have been made. 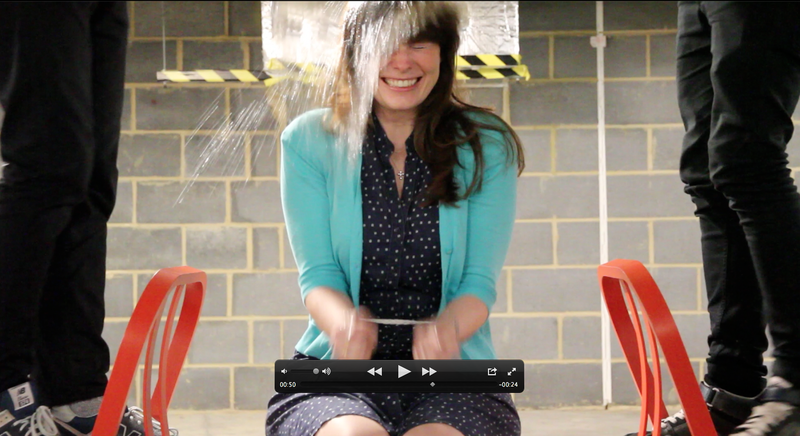 Hope you had a big towel and a hot chocolate after filming yours! Glad to find this. I had no idea and will probably post a link on my site to the videos as well. Although now a post I saw somewhere else is making a lot of sense. I do hope all of this helps migraine research. It makes me sad every time I think about how difficult it is to be taken seriously when dealing with chronic attacks. My sig other gets them worse than I and I often feel helpless. There is hope, just gotta hang onto it.